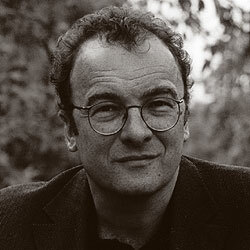 Robert Menasse was born in 1954 in Vienna. After receiving degrees in German literature, philosophy and political science at universities inVienna and Salzburg, he established himself in his native Austria and Germany as one of the major novelists and literary critics of his generation. His works include a trilogy Wings of Stone, Meaningful Certainty, Reverse Thrust as well as several collections of philosophical and socio-political essays, most recently Dullness is Kin to Power . His latest novel The Expulsion from Hell was published in 2001. His play National Theatre is forthcoming. Robert Menasse lives in Vienna.